To sign up, just add your information to the linky list below. Afterwards, choose the difficulty level you want. Once January 1st, 2016 arrives, you can begin reading, any books read before will not count. You can continue to request galleys, or you can read the ones you already have. The point is to get your feedback ratio closer to the recommended 80%. Every 3 months, I will be posting an update on my own challenge which will also serve as a giveaway post. I will be running 4 giveaways through the year as incentives to be hitting your goals! You must have a post about the challenge which displays which level you have entered for that tracks what books you have read toward that challenge in order to enter the giveaways. 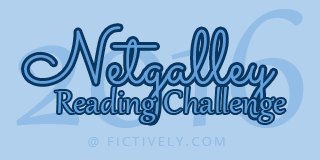 You can format the post however you want, but you must include the challenge banner at the top, your challenge level somewhere within the post (you don’t have to use the level graphics), and that has at the very least a list of which books you have read. You can view my 2015 challenge post here if you would like an example. Yours doesn’t need to be as formatted as mine. I love this challenge. I do it yearly. I did not do so good in 2015, but aim to do better. I will give medium a go, since it falls at what I completed this year with some extra. I will list them as I read them.